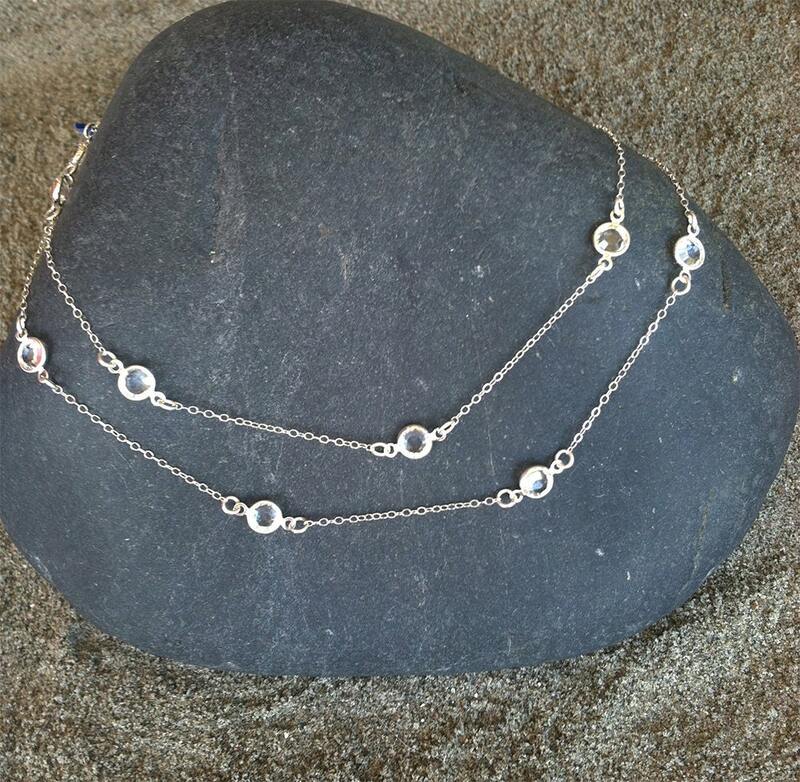 This beautiful long necklace can be worn single or double wrapped for a shorter choker look, and layered with other necklaces to make a real statement! It measures 32" long and can be made with your choice of either sterling silver or gold plated bezel set Swarovski crystals with 14K gold fill or Sterling Silver chain. 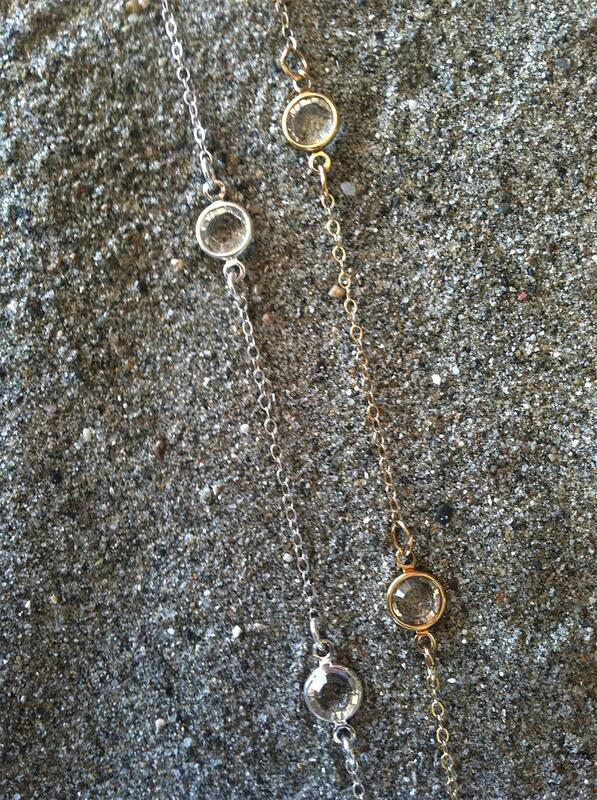 Beautiful, delicate necklace. I was worried it wouldn't arrive in time but as soon as I expressed concern about this, it was shipped out that day and it arrived just in time for my friend's birthday. Thank you for the great customer service! This necklace is my absolute favorite!